Some of the common applications for electrical discharge machining include producing plastic molds, die casting dies from hardened steel and forging dies. EDM machining is a tooling method that uses electrical energy to cut, drill, etch and machine metal parts and is one of the most accurate types of machining for hard metals and other materials that are difficult to machine cleanly with conventional mechanical-cutting methods. Some of the common applications for electrical discharge machining include producing plastic molds, die casting dies from hardened steel and forging dies. EDM erodes the material in the path of the EDM tool using electrical discharges, or sparks. These electrical discharges can generate heat anywhere from eight to twenty thousand degrees. This process takes place in a bath of dielectric fluid, which prevents premature sparking and flushes away debris, conducts electricity between the electrode and the work piece and then flushes out the melted material. The tool electrode forms an arc to the work-piece electrode as the two are brought closer together, creating the intense electric field which is responsible for removing material. There is no actual contact between the electrode and the work piece, but rather a conductive path that is established between the electrode and the material. Industries that benefit from the use of the EDM cutting process include food and beverage, automobile, stamping, extruding, defense, electronics, aerospace and medical. Diverse materials that can be used in EDM machining include aluminum, copper, zinc, bronze, tin, silicon, titanium and stainless steel. 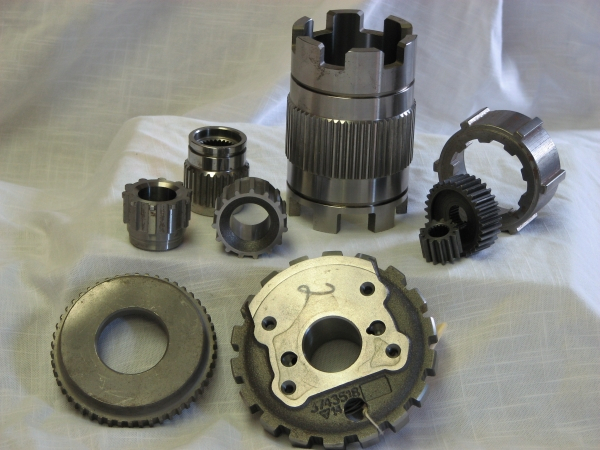 EDM machining services are engineered towards specific applications and wire EDM and sinker EDM are the two main types of EDM machining services. Sinker EDM is capable of boring holes into metal work pieces, creating holes, patterns and at times three dimensional objects, while wire EDM cuts patterns and shapes. Wire EDM is used for cutting shapes through a selected part or assembly. Sinker EDM is used for more complex geometries where machined graphite or copper electrodes are used to erode the desired shape into the part or assembly. CNC machines are used to guide, monitor and control the electrical discharge machining process, as well as CAD and CAM software. EDM machining has advantages over other machining techniques due to its ability to create complex and intricate parts with a high degree of accuracy. Another advantage of EDM machining is its ability to machine parts on an extremely small scale. While using this process, the work piece is not deformed from impact because there is no direct contact between the electrode and the material, and likewise the work piece is burr-free after completion and saved from heat damage because very little material-damaging heat is generated during the procedure. EDM Machining EDM machining is a tooling method that uses electrical energy to cut, drill, etch and machine metal parts and is one of the most accurate types of machining for hard metals and other materials that are difficult to machine cleanly with conventional mechanical-cutting methods.